Women anglers also are always welcome at this popular derby. The 11th annual International Yellowtail Derby kicks off on April 27 and will continue through June 9. The 44-day tournament enters its second decade. Anglers first participated in the derby in 2009 and only lasted nine days; this year’s tournament is nearly five times longer. The largest fish, as in years past, wins the tournament. Yellowtail, white sea bass and halibut are all eligible for the tournament’s prizes. 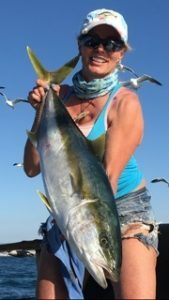 Those participating in this year’s derby will certainly be angling to make history as the first fisher to reel in a 50-pound yellowtail. Such a catch would narrowly edge the tournament’s largest yellowtail — a 49-pound, 11-ounce catch by Harry Okuda in 2017. The angler with the largest catch (and, hence, winner of the derby) would have his or her names etched on the Perpetual Trophy and receive his or her weight in beer from Ballast Point. Adults pay $100 to enter the derby; young anglers between age 8 and 14 only pay $50 to enter. Prizes are awarded in every category; special prizes are granted for the largest catch made each week. Competition is open to private boaters, open parties and kayakers. The “in-bounds” fishing area is 50 miles south and 50 miles west of Point Loma and north to the Orange County line. Cash and prizes will be presented to the winners at an awards event on June 10. 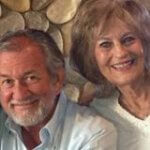 The award event will be held at Bali Hai restaurant on Shelter Island in San Diego. Contact John Campbell at 619-991-5480 or johncinsd@gmail.com for more information.